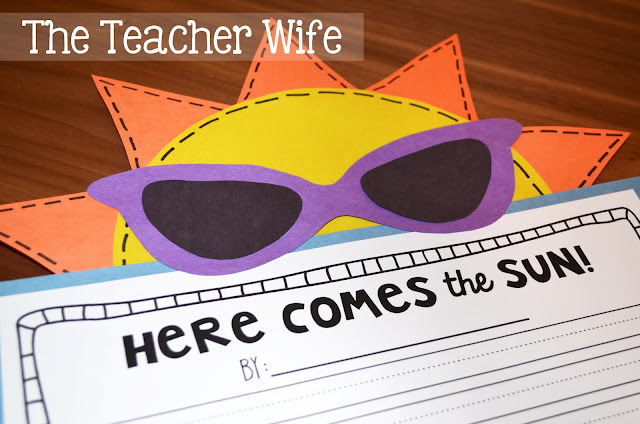 the teacher wife: Here Comes the SUN! According to my cute li'l summer countdown, there are only 29 school days left until summer vacation. It's amazing how fast time passes and I know the end of the school year will be here before I know it. 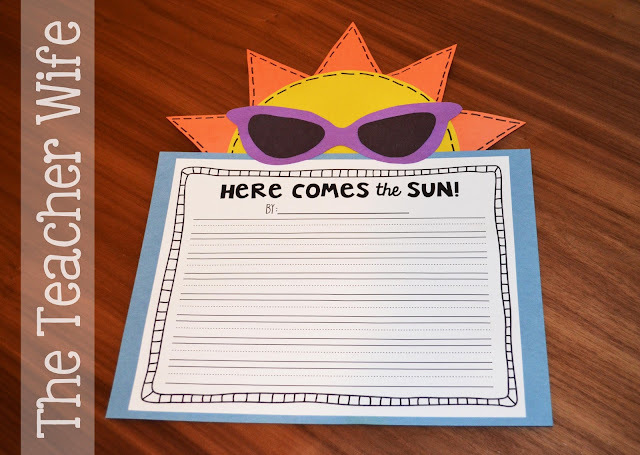 Here is a little writing activity I'll be doing with my students in the next week or so. When they are finished, I'll put them in the hallway for everyone to enjoy, and then I'll send them home sometime during the last week of school. I am excited to see what my students write about! 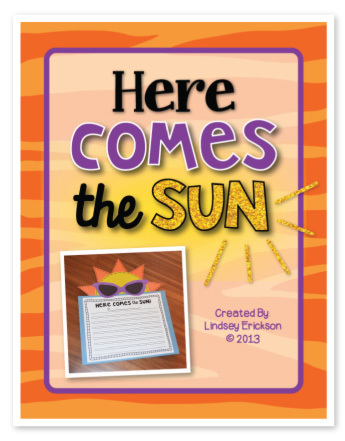 You can snag this craftivity in my TpT shop for $3.75! The first three people who comment with their email addresses will get this craftivity FREE!